Hawaii Native Status: Introduced. Native to Asia (India and China). Description: The broadly tubular flowers are 3 inches (8 cm) long with 5 ruffled lobes and a yellow throat. 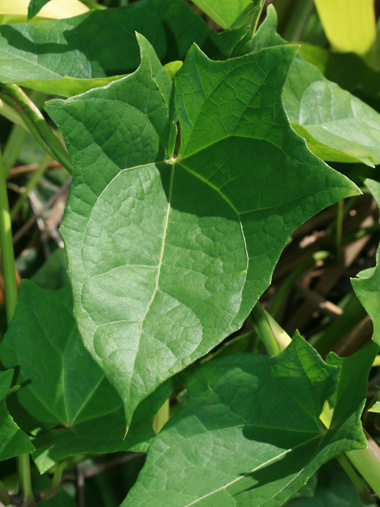 The leaves are green, heart-shaped, and variably angled or lobed with large, pointed lobes. 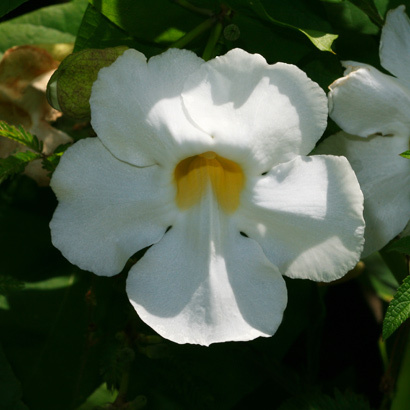 Here in Hawaii, this naturalized ornamental garden plant is a rampant weed that can cover and smother trees and shrubs. 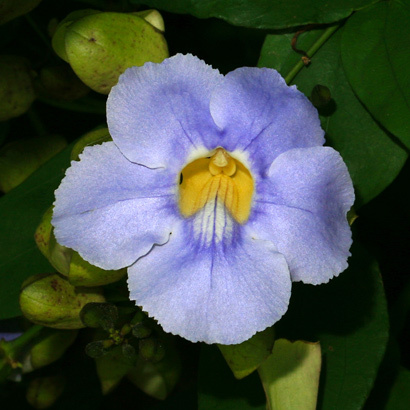 The similar Laurel Clockvine (Thunbergia laurifolia) has narrower, rarely lobed, non-angular leaves.